"End times", "Eschaton", and "Last days" redirect here. For other uses of these terms, see End Times (disambiguation), Endtime (disambiguation), Eschaton (disambiguation), and Last days (disambiguation). The end time (also called end times, end of time, end of days, last days, final days, doomsday, or eschaton) is a future time-period described variously in the eschatologies of several world religions (both Abrahamic and non-Abrahamic), which teach that world events will reach a final climax. The Abrahamic faiths maintain a linear cosmology, with end-time scenarios containing themes of transformation and redemption. In Judaism, the term "end of days" makes reference to the Messianic Age and includes an in-gathering of the exiled Jewish diaspora, the coming of the Messiah, the resurrection of the righteous, and the world to come. Some sects of Christianity depict the end time as a period of tribulation that precedes the second coming of Christ, who will face the Antichrist along with his power structure and usher in the Kingdom of God. In Islam, the Day of Judgement is preceded by the appearance of the al-Masih al-Dajjal, and followed by the descending of Isa (Jesus). Isa will triumph over the false messiah, or the Antichrist, which will lead to a sequence of events that will end with the sun rising from the west and the beginning of the Qiyamah (Judgment day). Non-Abrahamic faiths tend to have more cyclical world-views, with end-time eschatologies characterized by decay, redemption, and rebirth. In Hinduism, the end time occurs when Kalki, the final incarnation of Vishnu, descends atop a white horse and brings an end to the current Kali Yuga. In Buddhism, the Buddha predicted that his teachings would be forgotten after 5,000 years, followed by turmoil. A bodhisattva named Maitreya will appear and rediscover the teaching of dharma. The ultimate destruction of the world will then come through seven suns. Since the development of the concept of deep time in the 18th century and the calculation of the estimated age of the Earth, scientific discourse about end times has centered on the ultimate fate of the universe. Theories have included the Big Rip, Big Crunch, Big Bounce, and Big Freeze (heat death). There are two major points of Buddhist eschatology, the appearance of Maitreya, followed by the Sermon of the Seven Suns. Buddha described his teachings disappearing five thousand years from when he preached them, corresponding approximately to the year 2300. At this time, knowledge of dharma will be lost as well. The last of his relics will be gathered in Bodh Gaya and cremated. There will be a new era in which the next Buddha Maitreya will appear, but it will be preceded by the degeneration of human society. This will be a period of greed, lust, poverty, ill will, violence, murder, impiety, physical weakness, sexual depravity and societal collapse, and even the Buddha himself will be forgotten. This will be followed by the coming of Maitreya when the teachings of dharma are forgotten. Maitreya was the first Bodhisattva around whom a cult developed, in approximately the 3rd century CE. The earliest mention of Maitreya is in the Cakavatti, or Sihanada Sutta in Digha Nikaya 26 of the Pali Canon. In it, Gautama Buddha predicted that his teachings of dharma would be forgotten after 5,000 years. Maitreya Buddha is then foretold to be born in the city of Ketumatī in present-day Benares, whose king will be the Cakkavattī Sankha. Sankha will live in the former palace of King Mahāpanadā, and will become a renunciate who follows Maitreya. In Mahayana Buddhism, Maitreya will attain bodhi in seven days, the minimum period, by virtue of his many lifetimes of preparation. Once Buddha, he will rule over the Ketumati Pure Land, an earthly paradise sometimes associated with the Indian city of Varanasi or Benares in Uttar Pradesh. In Mahayana Buddhism, the Buddha presides over a land of purity. For example, Amitabha presides over Sukhavati, more popularly known as the 'Western Paradise'. The Lord replied, 'Maitreya, the best of men, will then leave the Tuṣita heavens, and go for his last rebirth. As soon as he is born he will walk seven steps forward, and where he puts down his feet a jewel or a lotus will spring up. He will raise his eyes to the ten directions, and will speak these words: "This is my last birth. There will be no rebirth after this one. Never will I come back here, but, all pure, I shall win Nirvana." He currently resides in Tushita, but will come to Jambudvipa when needed most as successor to the historic Śākyamuni Buddha. Maitreya will achieve complete enlightenment during his lifetime, and following this reawakening, he will bring back the timeless teaching of dharma to this plane and rediscover enlightenment. The Arya Maitreya Mandala, founded by Lama Anagarika Govinda is based on the idea of Maitreya. Maitreya eschatology forms the central canon of the White Lotus Society, a revolutionary movement during British colonial rule. It later branched into the Chinese underground criminal organization known as the Triad, which exists today as an international underground criminal network. It is of note that description of Maitreya occurs in no other sutta in the canon, casting doubt as to authenticity of the scripture. In addition, sermons of the Buddha normally are in response to a question, or in a specific context, but this sutta has a beginning and an ending, and its content is quite different from the others. This has led some to conclude that the whole sutta is apocryphal, or tampered with. All things are impermanent, all aspects of existence are unstable and non-eternal. Beings will become so weary and disgusted with the constituent things that they will seek emancipation from them more quickly. There will come a season, O monks when, after hundreds of thousands of years, rains will cease. All seedlings, all vegetation, all plants, grasses and trees will dry up and cease to be...There comes another season after a great lapse of time when a second sun will appear. Now all brooks and ponds will dry up, vanish, cease to be. Again after a vast period of time a sixth sun will appear, and it will bake the Earth even as a pot is baked by a potter. All the mountains will reek and send up clouds of smoke. After another great interval a seventh sun will appear and the Earth will blaze with fire until it becomes one mass of flame. The mountains will be consumed, a spark will be carried on the wind and go to the worlds of God....Thus, monks, all things will burn, perish and exist no more except those who have seen the path. The sermon completes with the planet engulfed by a vast inferno. The Pali Canon does not indicate when this will happen relative to Maitreya. In Hindu eschatology, time is cyclic and consists of kalpas. Each lasts 4.1 – 8.2 billion years, which is a period of one full day and night for Brahma, who will be alive for 311 trillion, 40 billion years. Within a kalpa there are periods of creation, preservation and decline. After this larger cycle, all of creation will contract to a singularity and then again will expand from that single point, as the ages continue in a religious fractal pattern. And a rise of unrighteousness then I manifest Myself! At this time of chaos, the final avatar, Kalki, endowed with eight superhuman faculties will appear on a white horse. Kalki will amass an army to "establish righteousness upon the earth" and leave "the minds of the people as pure as crystal." At the completion of Kali Yuga, the next cycle will begin with a new Satya Yuga, in which all will once again be righteous with the reestablishment of dharma. This, in turn, will be followed by epochs of Treta Yuga, Dwapara Yuga and again another Kali Yuga. This cycle will then repeat till the larger cycle of existence under Brahma returns to the singularity, and a new universe is born. Norse mythology depicts the end of days as Ragnarök, an Old Norse term translatable as "twilight of the gods". It will be heralded by a devastation known as Fimbulvetr which will seize Midgard in cold and darkness. The sun and moon will disappear from the sky, and poison will fill the air. Dead will rise from the ground and there will be widespread despair. There follows a battle between – on the one hand – the Gods with the Æsir, Vanir and Einherjar, led by Odin, and – on the other hand – forces of Chaos, including the fire giants and jötunn, led by Loki. In the fighting Odin will be swallowed whole by his old nemesis Fenrir. The god Freyr fights Surtr but loses. Víðarr, son of Odin, will then avenge his father by ripping Fenrir's jaws apart and stabbing the wolf in the heart with his spear. The serpent Jörmungandr will open its gaping maw and be met in combat by Thor. Thor, also a son of Odin, will defeat the serpent, only to take nine steps afterwards before collapsing to his own death. After this people will flee their homes as the sun blackens and the earth sinks into the sea. The stars will vanish, steam will rise, and flames will touch the heavens. This conflict will result in the deaths of most of the major Gods and forces of Chaos. Finally, Surtr will fling fire across the nine worlds. The ocean will then completely submerge Midgard. After the cataclysm the world will resurface new and fertile, and the surviving Gods will meet. Baldr, also a son of Odin will be reborn in the new world, according to Völuspá. The two human survivors, Líf and Lífþrasir, will then repopulate this new earth. The founder of the Bahá'í Faith, Bahá'u'lláh claimed that he was the return of Christ as well as prophetic expectations of other religions. The inception of the Bahá'í Faith coincides with Millerite prophesy, pointing to the year 1844. They also believe the Battle of Armageddon has passed and that the mass martyrdom anticipated during the End Times had already passed within the historical context of the Bahá'í Faith. Bahá'ís expect their faith to be eventually embraced by the masses of the world, ushering in a golden age. But concerning that day and hour no one knows, not even the angels of heaven, nor the Son, but the Father only. In the New Testament, Jesus refers to this period preceding the end times as the "Great Tribulation" (Matthew 24:21), "Affliction"(Mark 13:19), and "days of vengeance"(Luke 21:22). When ye therefore shall see the abomination of desolation, spoken of by Daniel the prophet, stand in the holy place, (whoso readeth, let him understand). Then let them which be in Judaea flee into the mountains. Let him which is on the housetop not come down...Neither let him which is in the field return back to take his clothes, and woe unto them that are with child...For then shall be great tribulation, such as was not since the beginning of the world to this time, no, nor ever shall be. And except those days should be shortened, there should no flesh be saved: but for the elect's sake those days shall be shortened. The resulting chaos will affect pregnancies, newborns, and a scourge will spread throughout the flesh, save for the elect. The vivid imagery of this section is repeated closely in Mark 13:14–20. Then he said to them, “Nation will rise against nation, and kingdom against kingdom. There will be great earthquakes, and in various places famines and pestilences. And there will be terrors and great signs from heaven. But before all this they will lay their hands on you and persecute you, delivering you up to the synagogues and prisons, and you will be brought before kings and governors for my name's sake. This will be your opportunity to bear witness. Settle it therefore in your minds not to meditate beforehand how to answer, for I will give you a mouth and wisdom, which none of your adversaries will be able to withstand or contradict. You will be delivered up even by parents and brothers and relatives and friends, and some of you they will put to death. You will be hated by all for my name's sake. But not a hair of your head will perish. By your endurance you will gain your lives. “But when you see Jerusalem surrounded by armies, then know that its desolation has come near. Then let those who are in Judea flee to the mountains, and let those who are inside the city depart, and let not those who are out in the country enter it, for these are days of vengeance, to fulfill all that is written. Alas for women who are pregnant and for those who are nursing infants in those days! For there will be great distress upon the earth and wrath against this people. They will fall by the edge of the sword and be led captive among all nations, and Jerusalem will be trampled underfoot by the Gentiles, until the times of the Gentiles are fulfilled. The Profession of Faith addresses Catholic beliefs concerning the Last Days. Catholicism adheres to the amillennial school of thought, promoted by Augustine of Hippo in his work The City of God. The Antichrist, by Lucas Cranach the Elder (1521) Here the Antichrist is shown wearing the triple crown of the Roman papacy. Protestants are divided between Millennialists and Amillennialists. Millennialists concentrate on the issue of whether the true believers will see the tribulation or be removed from it by what is referred to as a Pre-Tribulation Rapture. Amillennialists believe that the end times encompass the time from Christ's ascension to the Last day, and maintain that the mention of the "thousand years" in the Book of Revelation is meant to be taken metaphorically (i.e., not literally, or 'spiritually'), a view which continues to cause divisions within evangelical Christianity. There is a range of eschatological belief in Protestant Christianity. Christian premillennialists who believe that the End Times are occurring now, are usually specific about timelines that climax in the end of the world. For some, Israel, the European Union, or the United Nations are seen as major players whose roles were foretold in scripture. Within dispensational premillennialist writing, there is the belief that Christians will be summoned to Heaven by Christ at the Rapture, occurring before a "Great Tribulation" prophesied in Matthew 24–25; Mark 13 and Luke 21. The Tribulation is described in the book of Revelation. "End times" may also refer to the passing of an age or long period in the relationship between man and God. Adherents to this view cite the Second Epistle to Timothy and draw analogies to the late twentieth and early twenty-first centuries. Post-Exilic Hebrew books of prophecy such as Daniel and Ezekiel are given new interpretations in this tradition, while in apocalyptic forecasts appear in the Judeo-Christian Sibylline Oracles which include the Book of Revelation ascribed to John, the apocryphal Apocalypse of Peter, and the Second Book Of Esdras. Most fundamentalist Christians anticipate biblical prophecy to be literally fulfilled. They see current wars, natural disaster and famine as the birth pangs which Jesus described in Matthew 24:7–8 and Mark 13:8. They believe that mankind began in the garden of Eden, and point to the Valley of Megiddo as the place where the current world system will terminate, after which the Messiah will rule for 1,000 years. Contemporary use of the term End Times has evolved from literal belief in Christian millennialism. In this tradition, Biblical apocalypse is believed to be imminent, with various current events as omens of impending Armageddon. These beliefs have been put forward by the Adventist movement (Millerites), Jehovah's Witnesses, and dispensational premillennialists. In 1918 a group of eight well known preachers produced the London Manifesto, warning of an imminent second coming of Christ shortly after the 1917 liberation of Jerusalem by the British. Icon of the Second Coming. Greek, ca. 1700 A.D. Religious movements which expect that the second coming of Christ as a cataclysmic event are generally called adventism. These have arisen throughout the Christian era, but were particularly common after the Protestant Reformation. Emanuel Swedenborg considered the second coming to be symbolic, and to have occurred in 1757. Along with others, he developed a religious system around the second coming of Christ, disclosed by new prophecy or special revelation not described in the Bible. The Millerites are diverse religious groups which similarly rely upon a special gift of interpretation for predicting the second coming. The difference between the 19th-century Millerite and Adventist movements and contemporary prophecy is that William Miller and his followers, based on Biblical interpretation, predicted the time of the Second Coming to have occurred in 1844. Contemporary writing of end time has suggested that the timetable will be triggered by future wars and moral catastrophe, and that this time of tribulation is close at hand. Seventh-day Adventists believe Biblical prophecy to foretell an end time scenario in which the United States works in conjunction with the Catholic Church to mandate worship on a day other than the true Sabbath, Saturday, as prescribed in the Ten Commandments (Exodus 20:8–11). This will bring about a situation where one must choose for or against the Bible as the will of God. Another view of the end times is preterism. It distinguishes the time of the end from the end of time. Preterists believe the term Last Days (or Time of the End) refers to, neither the last days of the Earth, nor the last days of humankind, but the end of the Old Covenant between God and Israel; which, according to preterism, took place when the Temple in Jerusalem which was destroyed in 70 CE. Preterists believe that prophecies—such as the Second Coming, the desecration of the Jewish Temple, the destruction of Jerusalem, the rise of the Antichrist, the Great Tribulation, the advent of The Day of the Lord, and a Final Judgment—had been fulfilled when the Romans sacked Jerusalem and completely destroyed its Temple. Proponents of full preterism do not believe in a coming resurrection of the dead. They place this event (as well as the Second Coming) in the year 70. Advocates of partial preterism do believe in a coming resurrection. Full preterists contend that partial preterists are merely futurists, since they believe the Second Coming, the Resurrection, the Rapture, and the Judgment are yet to come. Many preterists believe that first-century Christians experienced the Rapture to rejoin the Christ. According with Preterism's interpretation of end times, many "time passages" in the New Testament foretell a Second Coming of Christ, with Last Days to take place within the lifetimes of his disciples: Matt. 10:23, Matt. 16:28, Matt. 24:34, Matt. 26:64, Rom. 13:11–12, 1 Cor. 7:29–31, 1 Cor. 10:11, Phil. 4:5, James 5:8–9, 1 Pet. 4:7, 1 Jn. 2:18. Dispensationalism is an evangelical futurist Bibilical interpretation that foresees a series of dispensations, or periods, in which God relates to human beings under different Biblical covenants. The belief system is primarily rooted in the writings of John Nelson Darby and is premillennial in content. The reestablishment of Israel in 1948 provided a major impetus to the dispensationalist belief system. The wars of Israel after 1948 with its Arab neighbors provided further support, according to John F. Walvoord. After the Six-Day War in 1967, and the Yom Kippur War in 1973, it seemed plausible to many Fundamentalist Christians in the 1970s that Middle East turmoil may well be leading up to the fulfillment of various Bible prophecies and to the Battle of Armageddon. Members of the dispensationalist movement such as Hal Lindsey, J. Dwight Pentecost, John Walvoord, all of whom have Dallas Theological Seminary backgrounds, and some other writers, claimed further that the European Economic Community, which preceded the European Union, would become a United States of Europe, which would in turn become a Revived Roman Empire ruled by the Antichrist. The Revived Roman Empire also figured into the New Testament writers' vision of the future. The fact that in the early 1970s, there were (erroneously thought to be) seven nations in the European Economic Community was held to be significant; this aligned the Community with a seven-headed beast mentioned in Revelation. This specific prophecy has required revision, but the idea of a Revived Roman Empire remains. The separate destinies of the Church and Israel, a belief which is inherent in dispensationalism, is a particular concern to some Jews and evangelical Christians. Evangelicals who reject dispensationalism, such as those who hold to a Post Tribulation Rapture, (or more accurately a Post Tribulation Resurrection-Rapture), see both the Church and Israel entering the crucible of the End Time together. Dispensationalism, in contrast to the Millerite Adventist movement, had its beginning in the 19th century, when John Nelson Darby, founder of the Plymouth Brethren religious denomination, incorporated into his system of Biblical interpretation a system of organizing Biblical time into a number of discrete dispensations, each of which marks a separate covenant with God. Darby's beliefs were widely publicized in Cyrus I. Scofield's Scofield Reference Bible, an annotated Bible that became popular in the United States of America. Since the majority of the Biblical prophets were writing at a time when the Temple in Jerusalem was still functioning, they wrote as if it would still be standing during the prophesied events. According to preterism, this was a fulfillment of the prophecies. However, according to Futurists, their destruction in AD 70 put the prophetic timetable on hold. Many such believers therefore anticipated the return of Jews to Israel and the reconstruction of the Temple before the Second Coming could occur. A view of the Second Coming of Christ as held by post-tribulational pre-millennialists holds that the Church of Christ will have to undergo great persecution by being present during the great tribulation. In 1843, William Miller made the first of several predictions that the world would end in only a few months. As his predictions did not come true (referred to as the Great Disappointment), followers of Miller went on to found separate groups, the most successful of which is the Seventh-day Adventist Church. Members of the Bahá'í Faith believe that Miller's interpretation of signs and dates of the coming of Jesus were, for the most part, correct. They believe that the fulfillment of biblical prophecies of the coming of Christ came through a forerunner of their own religion, the Báb. According to the Báb's words, 4 April 1844 was "the first day that the Spirit descended" into his heart. His subsequent declaration to Mullá Husayn-i Bushru'i that he was the "Promised One"—an event now commemorated by Bahá'ís as a major holy day—took place on 23 May 1844. It was in October of that year that the Báb embarked on a pilgrimage to Mecca, where he openly declared his claims to the Sharif of Mecca. The first news coverage of these events in the West was in 1845 by The Times, followed by others in 1850 in the United States. The first Bahá'í to come to America was in 1892. Several Bahá'í books and pamphlets make mention of the Millerites, the prophecies used by Miller and the Great Disappointment, most notably William Sears's Thief in the Night. End times theology is also significant to restorationist Christian religions, which consider themselves distinct from both Catholicism and Protestantism. 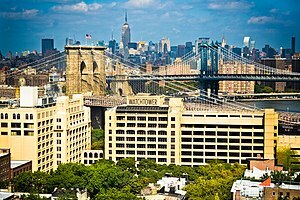 Former Watch Tower headquarters in Brooklyn. The society made a number of emphatic claims of impending last days and ensuing chaos between 1879–1924. The eschatology of Jehovah's Witnesses is central to their religious beliefs. They believe that Jesus Christ has been ruling in heaven as king since 1914 (a date they believe was prophesied in Scripture), and that after that time a period of cleansing occurred, resulting in God's selection of the Bible Students associated with Charles Taze Russell to be his people in 1919. They also believe the destruction of those who reject their message and thus willfully refuse to obey God will shortly take place at Armageddon, ensuring that the beginning of the new earthly society will be composed of willing subjects of that kingdom. The religion's doctrines surrounding 1914 are the legacy of a series of emphatic claims regarding the years 1799, 1874, 1878, 1914, 1918 and 1925 made in the Watch Tower Society's publications between 1879 and 1924. Claims about the significance of those years, including the presence of Jesus Christ, the beginning of the "last days", the destruction of worldly governments and the earthly resurrection of Jewish patriarchs, were successively abandoned. In 1922 the society's principal journal, The Watchtower, described its chronology as "no stronger than its weakest link", but also claimed the chronological relationships to be "of divine origin and divinely corroborated...in a class by itself, absolutely and unqualifiedly correct" and "indisputable facts", while repudiation of Russell's teachings was described as "equivalent to a repudiation of the Lord". The Watch Tower Society has admitted its early leaders promoted "incomplete, even inaccurate concepts". The Governing Body of Jehovah's Witnesses says that, unlike Old Testament prophets, its interpretations of the Bible are not inspired or infallible. Witness publications say that Bible prophecies can be fully understood only after their fulfillment, citing examples of biblical figures who did not understand the meaning of prophecies they received. Watch Tower publications often cite Proverbs 4:18, "The path of the righteous ones is like the bright light that is getting lighter and lighter until the day is firmly established" (NWT) to support their view that there would be an increase in knowledge during "the time of the end", as mentioned in Daniel 12:4. Jehovah's Witnesses state that this increase in knowledge needs adjustments. Watch Tower publications also say that unfulfilled expectations are partly due to eagerness for God's Kingdom and that they do not call their core beliefs into question. Members of The Church of Jesus Christ of Latter-day Saints believe that there will be a Second Coming of Jesus to the earth sometime in the future. The LDS Church and its leaders do not make any predictions of the actual date of the Second Coming. According to church doctrine, the true gospel will be taught in all parts of the world prior to the Second Coming. They also believe that there will be increasing war, earthquakes, hurricanes, and man-made disasters prior to the Second Coming. Disasters of all kind will happen before Christ comes. Upon the return of Jesus Christ, all people will be resurrected, the righteous in a first resurrection and the unrighteous in a second, later resurrection. Christ shall reign for a period of 1000 years, after which the Final Judgement will occur. Muslims believe that there are three periods before the Day of Judgment, also known as ashratu's-sa'ah or alamatu qiyami's-sa'ah, with some debate as to whether the periods could overlap. According to Harun Yahya, the first period is said to have begun with the death of Muhammad. The second began with the passing of all his Companions, and ended a thousand years later. Another event of the second period was the Tartar invasion, occurring 650 years after Muhammad. The Mongols, led by Hulagu Khan, grandson of Genghis Khan, attacked Baghdad in 1258 AD and brought the Abbasid caliphate to an end. They massacred millions of Muslims, and the water of the river Tigris turned red with blood. A traditional narration also predicted a fire at Madinah in the Hijaz near Busra in Syria, which Islamic scholars believe occurred in 654 AH. Following the second, the third and final period will be heralded by the appearance of the Mahdi. Sunnis believe that the dead will then stand in a grand assembly, awaiting a scroll detailing their righteous deeds, sinful acts and ultimate judgment. Muhammad will be the first to be resurrected. Punishments will include adhab, or severe pain and embarrassment, and khizy or shame. There will also be a punishment of the grave between death and the resurrection. The return of Isa (Jesus), from the fourth sky to kill Dajjal. Concepts and terminology in Shia eschatology includes Mi'ad, The Occultation and Al-Yamani, Sufyani In Twelver Shia narrations about the last days, the literature largely revolves around Muhammad al-Mahdi, a messianic figure considered to be the twelfth appointed successor to Muhammad. Mahdi will help mankind against the deception by a man called Dajjal who will try to get people in to a new world religion which is called "the great deception". Ahmadiyya is considered distinct from mainstream Islam. In its writing, the present age has been witness to the evil of man and wrath of God, with war and natural disaster. Ghulam Ahmad is seen as the promised Messiah and the Mahdi, fulfilling Islamic and Biblical prophecies, as well as scriptures of other religions such as Hinduism. His teaching will establish spiritual reform and establish an age of peace. This will continue for a thousand years, and will unify mankind under one faith. Ahmadis believe that despite harsh and strong opposition and discrimination they will eventually be triumphant and their message vindicated both by Muslims and non-Muslims alike. Ahmadis also incorporate the eschatological views from other religions into their doctrine and believe that Mirza Ghulam Ahmed falls into this sequence. God will redeem Israel from the captivity that began during the Babylonian Exile in a new Exodus. God will return the Jewish people to the Land of Israel. God will restore the House of David and the Temple in Jerusalem. God will raise up a regent from the House of David, the Jewish Messiah, to lead the Jewish people and the world and to usher in an age of justice and peace. Nations will recognize that the God of Israel is the only true god. God will resurrect the dead. God will create a new heaven and earth. The idea of a messianic age, an era of global peace and knowledge of the Creator, has a prominent place in Jewish thought, and is incorporated as part of the end of days. A well-known passage from the Book of Isaiah describes this future condition of the world: "They shall beat their swords into plowshares and their spears into pruning hooks; nation will not lift sword against nation and they will no longer study warfare" (2:4) Maimonides (1135–1204) further describes the Messianic Era in the Mishneh Torah: "And at that time there will be no hunger or war, no jealousy or rivalry. For the good will be plentiful, and all delicacies available as dust. The entire occupation of the world will be only to know God... the people Israel will be of great wisdom; they will perceive the esoteric truths and comprehend their Creator's wisdom as is the capacity of man. As it is written (Isaiah 11:9): 'For the earth shall be filled with the knowledge of God, as the waters cover the sea.'" The Zohar maintains that the seven days of the week, based on the seven days of creation, correspond to the seven millennia of creation. The seventh day of the week, the Shabbat day of rest, corresponds to the seventh millennium, the age of universal rest, or the Messianic Era. The seventh millennium begins with the year 6000 AM, and is the latest time the Messiah can come. A number of early and late Jewish scholars have written in support of this, including the Ramban, Isaac Abrabanel, Abraham Ibn Ezra, Rabbeinu Bachya, the Vilna Gaon, the Lubavitcher Rebbe, the Ramchal, Aryeh Kaplan and Rebbetzin Esther Jungreis. Rastafarians have a unique interpretation of end times, based on the Old Testament and the Book of Revelation. They believe Ethiopian Emperor Haile Selassie I to be God incarnate, the King of kings and Lord of lords mentioned in Revelation 5:5. They saw the crowning of Selassie as the second coming, and the Second Italo-Ethiopian War as fulfillment of Revelation. 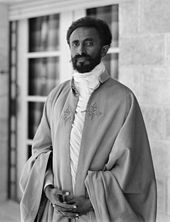 There is also the expectation that Selassie will return for a day of judgment and bring home the lost children of Israel, which in Rastafarianism refer to those taken from Africa through the slave trade. There will then be an era of peace and harmony at Mount Zion in Africa. At the end of thy tenth hundredth winter, the sun is more unseen and more spotted; the year, month, and day are shorter; and the earth is more barren; and the crop will not yield the seed. And men become more deceitful and more given to vile practices. They will have no gratitude. Honorable wealth will proceed to those of perverted faith. And a dark cloud makes the whole sky night, and it will rain more noxious creatures than water. A Manichaean battle between the righteous and wicked will be followed by the Frashokereti. On earth, the Saoshyant will arrive as the final savior of mankind, and bring about the resurrection of the dead. The yazatas Airyaman and Atar will melt the metal in the hills and mountains, which will flow as lava across the earth and all mankind, both the living and resurrected, will be required to wade through it. Ashavan will pass through the molten river as if it were warm milk, but the sinful will burn. It will then flow down to hell, where it will annihilate Angra Mainyu and the last vestiges of wickedness. The righteous will partake of the parahaoma, which will confer immortality upon them. Humanity will become like the Amesha Spentas, living without food, hunger, thirst, weapons or injury. Bodies will become so light as to cast no shadow. All humanity will speak a single language, and belong to a single nation with no borders. All will share a single purpose and goal, joining with Ahura Mazda for a perpetual and divine exaltation. ^ Conze, Edward (30 July 1959). Buddhist Scriptures. Penguin Classics. p. 256. ISBN 0140440887. ^ a b Richard Gombrich, Theravada Buddhism: A Social History from Ancient Benares to Modern Colombo. Routledge and Kegan Paul, 1988, pages 83–85. ^ a b Browne, Sylvia; Harrison, Lindsay (2008). End of Days: Predictions and Prophecies About the End of the World. Penguin Publishing Group. ISBN 978-1-4406-3141-2. ^ Larrington, Carolyne (1999). The Poetic Edda. Oxford World's Classics. ISBN 0-19-283946-2. ^ Bellows, Henry Adams (2004). The Poetic Edda: The Mythological Poems. Dover Publications. ISBN 0-486-43710-8. ^ Byock, Jesse (2005). The Prose Edda. Penguin Classics. ISBN 0-14-044755-5. ^ Buck, Christopher (2004). "The eschatology of Globalization: The multiple-messiahship of Bahā'u'llāh revisited". In Sharon, Moshe (ed.). Studies in Modern Religions, Religious Movements and the Bābī-Bahā'ī Faiths. Boston: Brill. pp. 143–178. ISBN 90-04-13904-4. ^ Smith, P. (1999). A Concise Encyclopedia of the Bahá'í Faith. Oxford, UK: Oneworld Publications. pp. 98 & 247–248. ISBN 1-85168-184-1. ^ Stephen Lambden. "Catastrophe, Armageddon and Millennium: some aspects of the Bábí-Baha'i exegesis of apocalyptic symbolism". Bahai-library.com. Retrieved 12 November 2011. ^ See 2 Thessalonians chapter 2 and Son of perdition. ^ "How Seventh-day Adventists View Roman Catholicism". – Main Statements of Belief from the official Adventist Church website. ^ John F. Walvoord (1990) . "Armageddon, Oil and the Middle East Crisis". ^ "The Jerusalem Declaration on Christian Zionism". Riah Abu El-Assal, Swerios Malki Mourad, His Beatitude Michel Sabbah, Bishop Dr. Munib Younan. ^ "Proclamation of the 3rd International Zionist Congress". Christian Action For Israel. 25 February 1996. Archived from the original on 19 July 2012. Retrieved 27 November 2012. ^ "The Untold Story: The Role of Christian Zionists in the Establishment of Modern-day Israel". Rabbi Jamie Cowen. 13 July 2002. Retrieved 27 November 2012. ^ Momen, Moojan (1992). "Fundamentalism and Liberalism: towards an understanding of the dichotomy". Bahá'í Studies Review. 2 (1). ^ Momen, Moojan (2007). "Messianic Concealment and Theophanic Disclosure" (PDF). Online Journal of Bahá'í Studies. 1: 71–88. ISSN 1177-8547. Retrieved 14 April 2012. ^ a b Cameron, G.; Momen, W. (1996). A Basic Bahá'í Chronology. Oxford, UK: George Ronald. pp. 15–20, 125. ISBN 0-85398-404-2. ^ Momen, Moojan (1999). "Early Western Accounts of the Babi and Baha'i Faiths". Encyclopedia articles. Bahá'í Library Online. Retrieved 2 February 2012. ^ "Early mention of Bábís in western newspapers, summer 1850". Historical documents and Newspaper articles. Bahá'í Library Online. 17 September 2010. Retrieved 14 April 2012. ^ Sears, William (1961). Thief in the Night. London: George Ronald. ISBN 0-85398-008-X. ^ Bowers, Kenneth E. (2004). God Speaks Again: An Introduction to the Bahá'í Faith. Baha'i Publishing Trust. p. 12. ISBN 1-931847-12-6. ^ Motlagh, Hushidar Hugh (1992). I Shall Come Again (The Great Disappointment ed.). Mt. Pleasant, MI: Global Perspective. pp. 205–213. ISBN 0-937661-01-5. ^ "The House-to-House Ministry—Why Important Now?". The Watchtower. 15 July 2008. pp. 5–6. ^ You Can Live Forever in Paradise on Earth, Watch Tower Bible & Tract Society, 1989, p. 155. ^ Revelation—Its Grand Climax at Hand!, Watch Tower Bible & Tract Society, 1988, p. 6. ^ a b c The Watchtower, 1 March 1922, page 73, "The indisputable facts, therefore, show that the 'time of the end' began in 1799; that the Lord's second presence began in 1874." ^ "Our Faith" (PDF). The Herald of the Morning. September 1875. p. 52. Archived from the original (PDF) on 12 May 2008. ^ The Watchtower, July 15, 1894, p. 1677: "We see no reason for changing the figures���nor could we change them if we would. They are, we believe, God's dates, not ours. But bear in mind that the end of 1914 is not the date for the beginning, but for the end of the time of trouble." ^ Millions Now Living Will Never Die, 1920, page 97, "Based upon the argument heretofore set forth, then, that the old order of things, the old world, is ending and is therefore passing away, and that the new order is coming in, and that 1925 shall mark the resurrection of the faithful worthies of old and the beginning of reconstruction, it is reasonable to conclude that millions of people now on the earth will be still on the earth in 1925. Then, based upon the promises set forth in the divine Word, we must reach the positive and indisputable conclusion that millions now living will never die." ^ Holden, Andrew (2002). Jehovah's Witnesses: Portrait of a Contemporary Religious Movement. Routledge. p. 1. ISBN 0-415-26609-2. ^ "The Strong Cable of Chronology", Watch Tower, 15 July 1922, page 217, "The chronology of present truth is, to begin with, a string of dates... Thus far it is a chain, and no stronger than its weakest link. There exist, however, well established relationships among the dates of present-truth chronology. These internal connections of the dates impart a much greater strength than can be found in other [secular, archeological] chronologies. Some of them are of so remarkable a character as clearly to indicate that this chronology is not of man, but of God. Being of divine origin and divinely corroborated, present-truth chronology stands in a class by itself, absolutely and unqualifiedly correct." ^ The Watchtower, 1 May 1922, page 132, "To abandon or repudiate the Lord's chosen instrument means to abandon or repudiate the Lord himself, upon the principle that he who rejects the servant sent by the Master thereby rejects the Master. ... Brother Russell was the Lord's servant. Then to repudiate him and his work is equivalent to a repudiation of the Lord, upon the principle heretofore announced." ^ Jehovah's Witnesses—Proclaimers of God's Kingdom (Watch Tower Society, 1993), chapter 10. ^ Revelation – Its Grand Climax, Watch Tower Bible & Tract Society, 1988, page 9. ^ "False Prophets". Reasoning From the Scriptures. Watchtower Bible and Tract Society. p.137:Have not Jehovah's Witnesses made errors in their teachings?. ^ "To Whom Shall We Go but Jesus Christ?". Watchtower. 1 March 1979. p. 23. the “faithful and discreet slave” has alerted all of God’s people to the sign of the times indicating the nearness of God’s Kingdom rule. In this regard, however, it must be observed that this “faithful and discreet slave” was never inspired, never perfect. Those writings by certain members of the “slave” class that came to form the Christian part of God’s Word were inspired and infallible [the bible], but that is not true of other writings since. ^ "Keep in Step With Jehovah’s Organization", Watchtower, 15 January 2001, page 18. ^ a b c Yahya, Harun (1 January 2008). Clarity Amidst Confusion: Imam Mahdi and the End of Time. Global Publishing. Kindle Edition. p. 64. ^ Richardson, Joel (7 April 2006). Antichrist: Islam's Awaited Messiah. Pleasant Word-A Division of WinePress Publishing. p. 284. ISBN 9781414104409. ^ Muhammad, S. Umar (1999). Muslims' Eschatological Discourses on Colonialism in Northern Nigeria. Oxford University Press. pp. 59–84. JSTOR 1466033. ^ Christine Huda Dodge (2009). The Everything Understanding Islam Book: A complete guide to Muslim beliefs, practices, and culture. F+W Media. p. 182. ISBN 978-1-60550-724-8. ^ John L. Esposito (2011). What Everyone Needs To Know About Islam. Oxford University Press, USA. p. 28. ISBN 978-0-19-979413-3. ^ Javed Ahmad Ghamidi (2009). Islam: A Concise Introduction. Al-Mawrid. p. 46. ^ Alwi Shihab (2011). Examining Islam in the West. p. 16. ISBN 978-979-22-6771-6. ^ "Prophecies of the Promised Messiah -- www.aaiil.org" (PDF). Retrieved 27 March 2010. ^ a b "Jewish Eschatology". Jewish Encyclopedia. Retrieved 1 May 2012. ^ Page 318, The Real Messiah Kaplan, Aryeh (1 August 1991). The Aryeh Kaplan Anthology: Illuminating Expositions on Jewish Thought and Practice by a Revered Teacher. Mesorah Publications. ISBN 9780899068664. Retrieved 2 September 2015. ^ Fleisher, Malkah (27 October 2008). "'It's Erev Shabbos of the World' – Jewish World – News". Israel National News. Retrieved 21 November 2011. ^ Taylor, Richard P. (2000), Death and Afterlife: A Cultural Encyclopedia, ABC-CLIO, p. 312 . ^ Boyce, Mary (1979), Zoroastrians: Their Religious Beliefs and Practices, London: Routledge & Kegan Paul, pp. 27–29, ISBN 978-0-415-23902-8 . Wikimedia Commons has media related to End Times. Library of Date Setters of The End of the World: "Over 200 predictions and counting"
Religious Tolerance: A list of different groups claiming to predict the end of the world prior to 2000.